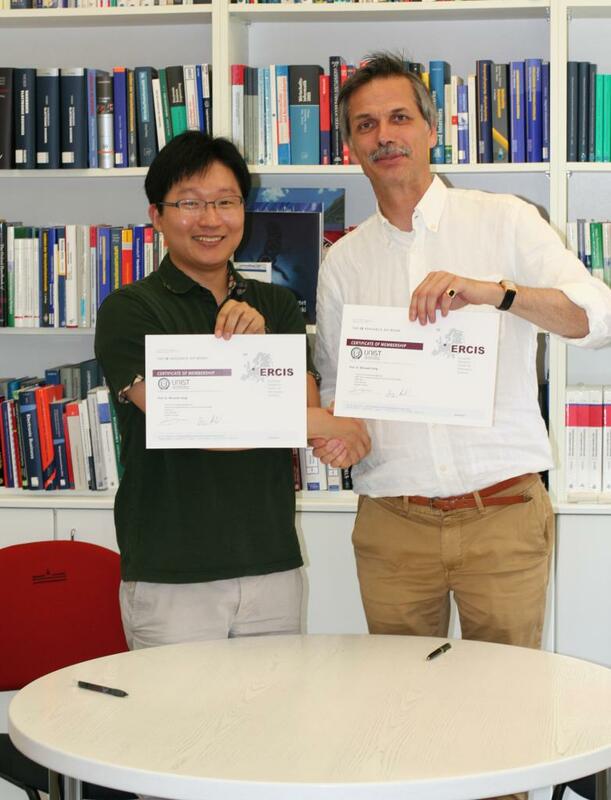 Following up on our research cooperation in the Networked Service Society (NSS) project, we proudly welcome Prof. Dr. Minseok Song as our new ERCIS partner in Korea. Being situated in Korea’s number one industrial area, the Ulsan National Institute of Science and Technology (UNIST) was initiated by the Korean Government in 2010, starting a rapid development towards an internationally renowned university. Professor Song’s workgroup is focused on Business Process Mining and has frequently collaborated with industrial companies in this area. All lectures at UNIST are given in English, establishing an international working atmosphere. After first contact with UNIST was made on a research visit to Korea in 2012, several guest researchers of UNIST visited Münster for initiating joint research projects as well as for identifying new opportunities for joint teaching. In 2012, Prof. Dr. Han-Gyun Woo introduced his research on social media in Münster, also establishing an exchange program for undergraduate and graduate students between UNIST and WWU. Based on this agreement, the first two students from Münster are currently spending away semesters in Ulsan. In 2013, Prof. Dr. Minseok Song and Prof. Dr. Wooje Cho visited Münster for following up on ideas for joint research, joint teaching, and joint industry projects. As an outcome, a research project was started and followed up on in a research visit of Dr. Martin Matzner to UNIST. Building on field data obtained from a Korean hospital, we continue to jointly develop new ideas for applying process mining in organizations. As regards joint teaching, students and lecturers of UNIST take part in the current ERCIS virtual seminar on Business Process Management. As our only partner in East Asia, their involvement adds a truly intercultural perspective that we want to build on a future endeavors. We look forward to launching new joint research projects and publications in the years to come!